The European Committee of the Regions (CoR) is currently preparing an own-initiative opinion on "A place-based approach to EU industrial policy". The CoR's ECON Commission has appointed as rapporteur for this opinion Ms Jeannette BALJEU (NL/ALDE), Commissioner in the Province of South Holland. The opinion aims to make the political case for how an EU industrial policy strategy can be implemented using a territorial or place-based approach, for the role of regional and local authorities in its implementation and for how their role can be supported by EU initiatives. It also aims to highlight how such a strategy can contribute to a low carbon and circular economy that is a driver of innovation and new business and employment opportunities in a regional and local context. In preparation for this opinion, the rapporteur would like to invite all relevant stakeholders to take part in an exchange of views on 15 February 2019 at the CoR in Brussels. Mr. Pietro Celotti and his colleagues from the consultancy company t33 will make a short presentation of a study on "Implementing a place-based approach to EU industrial policy strategy" which the CoR has commissioned. 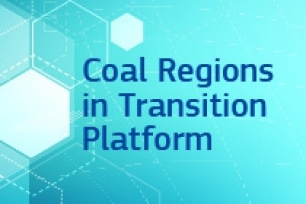 While this consultation is open to all interested parties, representatives of cities and regions as well as think tanks, NGOs and associations working in the field of industry and related areas are particularly welcome. Participants will be encouraged to concisely explain their views on the topic and should be ready to take an active part in the exchange. Register to participate in this consultation and help shape the CoR's work. The deadline for registration is 17:00 Thursday 14 February 2019. English will be the working language and no interpretation will be provided.